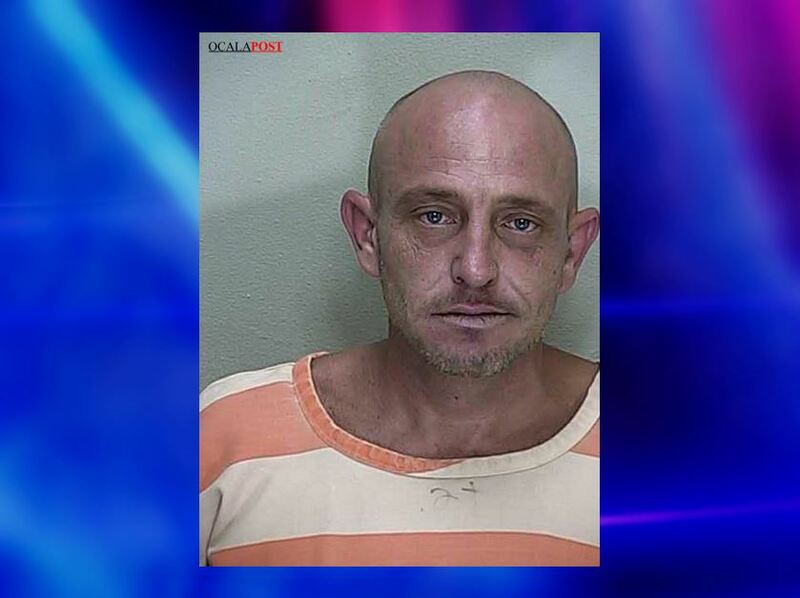 Ocala, Florida — A man was arrested after he beat a woman for allegedly shooting heroin without him. Several deputies responded to the 2200 block of Northeast 63rd Street in reference to a disturbance. When deputies arrived, they said they could hear screaming coming from inside the home. According to the arrest affidavit, deputies heard the woman scream “no” and “stop”. Deputies then entered the home through front door, which had already been kicked in. Once inside, deputies say a man came from down a hallway with his hands in the air. Noble then got down onto his stomach and crossed his feet. According to the victim, Noble came home drunk and started arguing with her because he believed she had used heroin without him. The victim told deputies that she did not use heroin. According to reports, Noble became angry, began striking the victim in the face, and pushed her to the ground. Noble then got on top of the victim, placed his forearm on her throat, and choked the victim until she lost consciousness. The victim said that when she regained consciousness she was on her stomach and that, Noble was punching her on the back of her head. When Noble stopped punching her, he grabbed a 2×2 board and began to strike her in the head with it. Noble also dragged the victim through broken glass, which caused several lacerations on her arms and legs. Noble told deputies that he has been trying to straighten his life up. He said he came home and told the victim that he planned to leave her due to her drug use. Noble said the victim then became upset, cut herself, and called 911 to have him arrested. Noble was arrested and charged with Domestic Battery by Strangulation, Aggravated Domestic Battery, and Battery. He has previous arrests for Driving while License Suspended-Habitual, Residential Burglary, Grand Theft, Criminal Mischief, Possession of Burglary Tools, Contributing to the Delinquency of a Minor, Violation of Probation (x6), Grand Theft Auto, and Possession of a Controlled Substance. He has also been arrested in Alachua County for Domestic Battery. Noble is being held on a $8,500 bond.